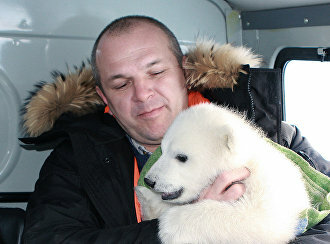 Director of the Wrangel Island State Nature Reserve, Member of the Commission on Aurochs and Bison (Muskoxen Sub-Group) of the Russian Academy of Sciences’ Russian Theriological Society. 1989: graduated from the Moscow Timber Industry Institute with a degree in Forestry Engineering. 1998: defended a Ph.D. (Biology) thesis. Worked at the National Research & Development Institute of Nature and Reserve Management, the Lesproject Design Institute, and the Central Research & Development Institute of the Main Hunting Agency of the RSFSR. Authored over 40 research papers (articles and theses) and co-authored two collective research papers.